Do you celebrate your pet’s birthday or “gotcha” day? According to a study by the Psychology Today, 81% of pet owners know their pets’ birthday, and 77% have celebrated by buying their pet a present. If you have wanted to in the past, but didn’t know how to, then you’re in luck for this year. 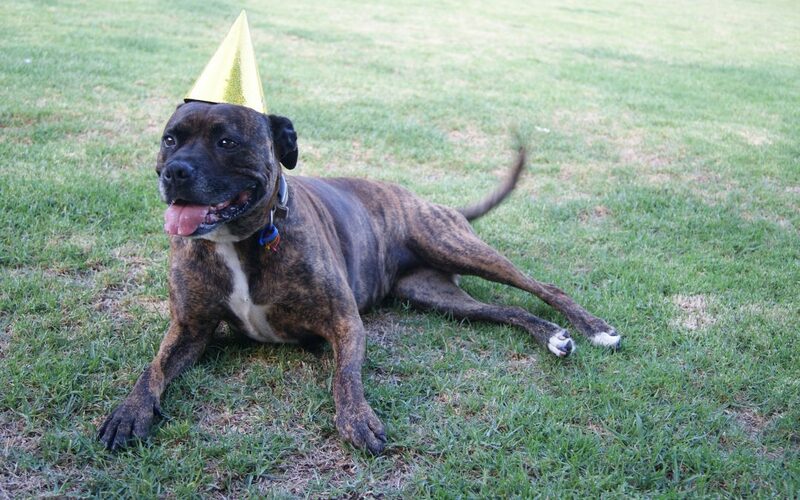 We have put together a list of our top four ways to celebrate a pet’s birthday or gotcha day. If you are looking at this strangely and thinking “gotcha day…” what’s that? It is the day you got your pet and many who adopt, and don’t shop (which we of course recommend), don’t know their pet’s birthday. It is still cause for a great celebration. You can show your furry friend a little extra love on their special day by giving them an extra special treat! Check out your ice cream shop or local stores to see if you can buy a lactose free ice cream puppy cone, such as a Frosty Paw, or a pupcake. Instead, use some of these healthier and safer alternatives. If you do try out one of the recipes above, be sure to let us know how your pet likes it! When it comes to animals, the more might not be the merrier. Instead, we recommend a small and intimate gathering of friends your pet is familiar and comfortable with. Make sure the party is supervised by you and the other pet owners, especially if there are lots of animals. If there is a pet store in your area that allows pets inside, take your pet there before or on their birthday. If your pet likes to play with paper, you can also let your pet unwrap their own gift. They might enjoy that more than the gift itself! This may be obvious, since you probably pamper your pet most days, but you should be sure to spoil your pet! Do you have any birthday or gotcha day traditions that we don’t have on our list? If so, share them in the comments below!